By now it’s clear that every seed that we put into the ground is a grand experiment. So too is the question of what will grow in our micro-climate. 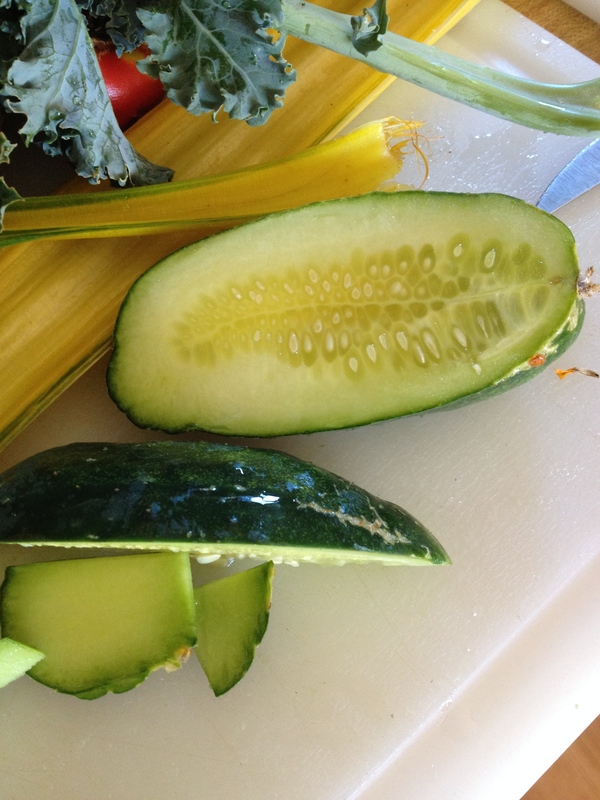 One, albeit gorgeous, cucumber is simply not a harvest. As we test and shrug off false starts, we learn what we don’t know about our ecosystem. We listen and try to respond to the soil, the weather and the plant’s energy. 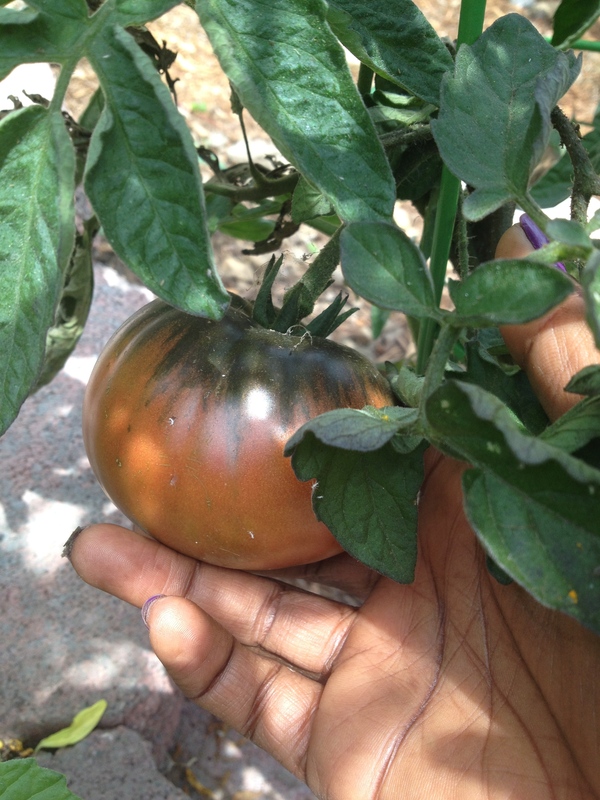 Among this year’s unforeseen treasures are our tomatoes, which have us nodding with pleasure and delight. 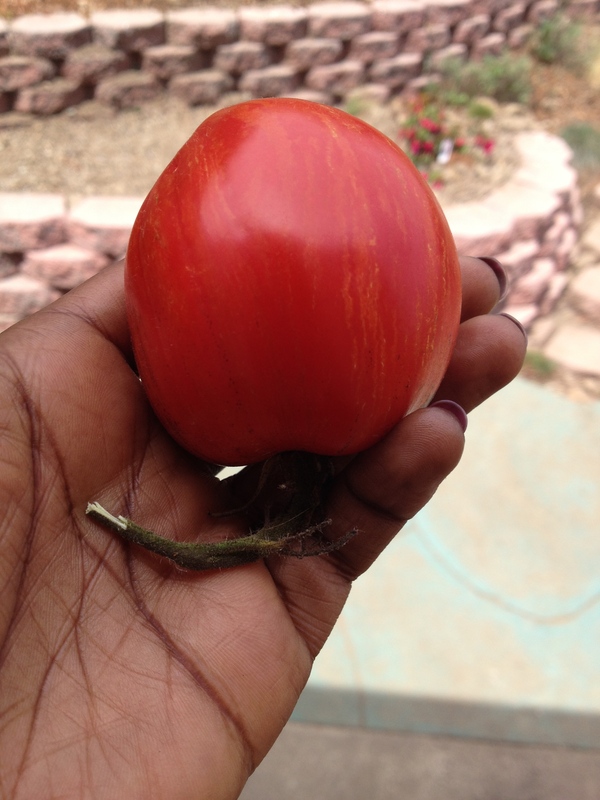 While we still have a few weeks to go before we’re eating tomatoes in earnest, it’s already obvious we’ll need to share, can and eat them daily—and we only have five plants in the ground . 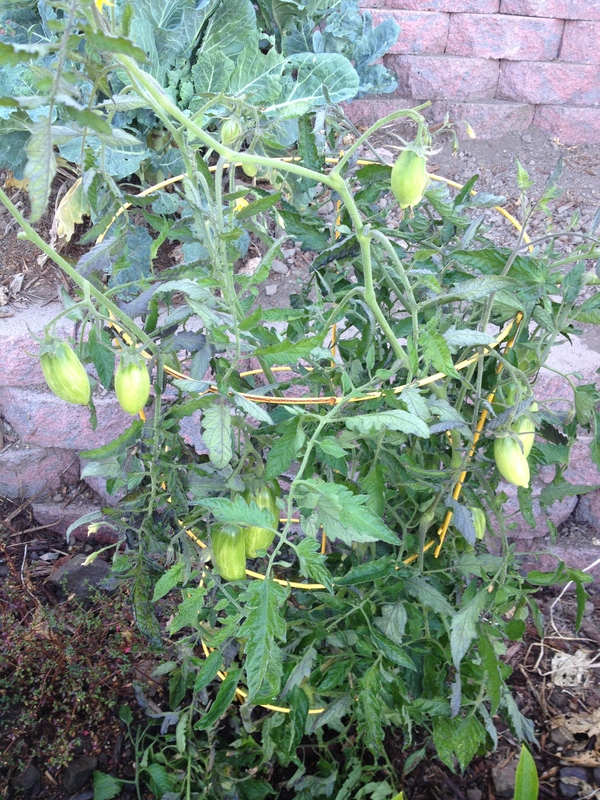 Remarkably this hot, dry San Francisco summer has given us an unexpected bumper crop. What’s more, our two potted plants are prospering despite relative neglect, producing two small tomatoes by the front door, a cheery reminder of what gardening is all about. Heirlooms are the way to go at home!